So this year She Inspired Her were proud to announce that we were Official Media Sponsors for Beauty in Dubai 2018 – a professional networking retreat to Dubai, United Arab Emirates for beauty and wellness professionals, bloggers, influencers and beauty enthusiasts! 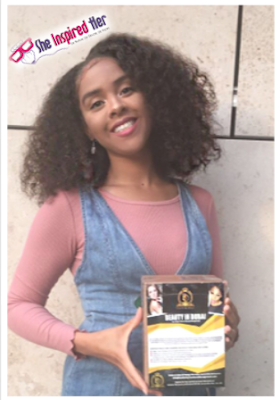 UK based hair company Urban Therapy's Twisted Sista creators of the amazing, newly launched 'Clear and Nourish' range for curly, coily and afro hair textures, were also sponsors of the 5-Day Programme in Dubai. Attending guests received Twisted Sista goodybags (which doubled up as handy summer beach bags) and were thrilled to have a product with them out in Dubai that would control the frizz and keep their curls bouncing day by day, even on the hottest days in Dubai! 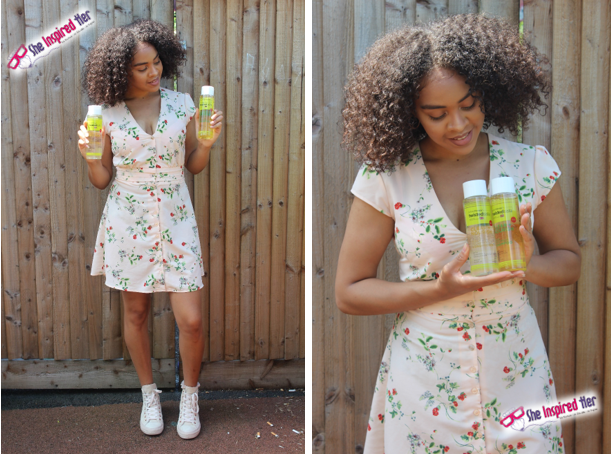 Of course, our super duper curly haired blogger Carmencita McFarlane just couldn’t WAIT to rip open her special 'Beauty in Dubai Treat Box' specially for bloggers, with a selected range of Twisted Sista products, and to get up-close and personal with these outstanding, clear packaged Twisted Sista products and try them out on her curly locks! Seriously, the team here at She Inspired Her couldn’t wait to find out what she thought! First of all, I was so excited to receive my Beauty in Dubai Treat Box in the post and couldn’t wait to get it open! Once I opened it up and saw all the amazing Twisted Sista products inside, let's just say that wash day HAD had to come a little sooner than planned! 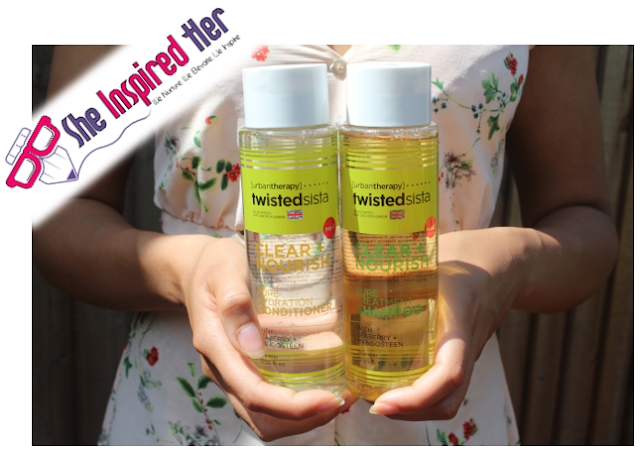 At first glance I was so impressed with how Twisted Sista had packaged their newly launched Clear and Nourish products range. They were very elegant and appealing, I had never used, or even seen, clear/transparent shampoo and conditioner bottles before and that was only the beginning! So, as I said I scheduled an early wash day JUST for Twisted Sista! 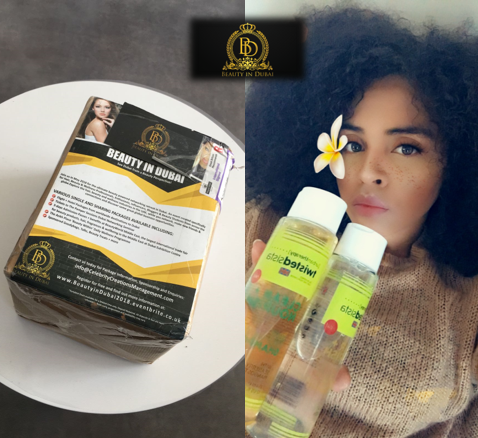 The shampoo and conditioner were so easy to use because the bottle design ensured that I never had trouble with over pouring or having to squeeze extremely hard just to get the product out, and then there was the smell…. OH MY! It had a natural scent with a sweet kick and felt so smooth and hydrating. 1) I wet my hair then applied the TwistedSista Clear and Nourish 'Pure Treatment Shampoo' with Seaberry and Mangosteen ("yummy" said the hair). I massaged it into my curly locks from roots to tips and worked it in for about 3-5 minutes. 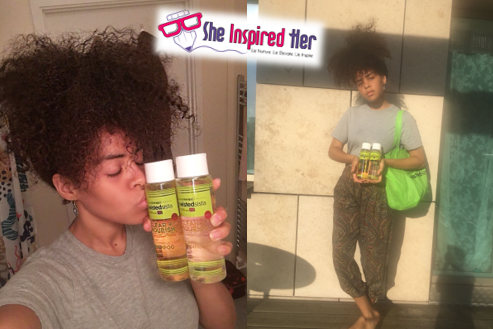 2) I then rinsed out the product completely with water and my hair already felt so richly nourished! 3) I then applied Twisted Sista Clear & Nourish 'Pure Hydration Conditioner' with seaberry and mangosteen (you have to smell this stuff, honestly... juicy), which once applied made my hair feel like SILK and so much easier to de-tangle. I used a wide toothed comb to de-tangle my hair. (Special Tip: always start at the tips to avoid and minimise breakage)! 4) Once completed I let my hair air dry and can honestly say the smell and look of my hair was absolutely phenomenal! I really, really love this range and highly recommend it to my fellow curlies! So what did I think overall? Well, in a nutshell JUST these two products alone have made my curls come straight back to life and I haven’t even started on the other goodies from Twisted Sista yet! They also sent me a curl spray and gel which I cannot wait to try out! I have continued use and my curls have so much more bounce, they look happy, so I’m happy! I absolutely love the result and cannot wait to use the other Twisted Sista products I received. When I grab them out and put them to use - you will be the first to know!